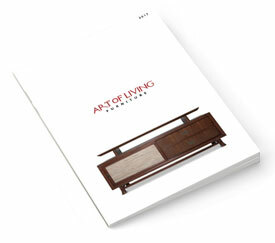 Art of Living has more than 25 years of experience supplying leading furnishing firms with top-of-the-line woven natural fiber and solid wood furniture. The company’s highly established network of suppliers, uncompromising craftsmanship, and long-standing reputation has allowed it to continue to be known as one of Thailand’s leading furnishings export suppliers. We serve as OEM supplier to leading furniture manufacturers in the United States. We design and manufacture our in-house brand developed for our roster of international distributors. We supply large-scale commercial and residential projects with design services and furniture products.